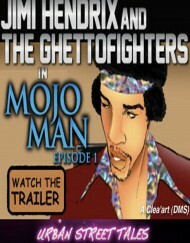 “Ghetto Fighters in Harlem World,” is the story of The Aleem Twins, who rose from the streets of Harlem to influence virtually every musical genre of their generation, and whose mysterious connection to Jimi Hendrix, one of the 20th century’s most important musicians, has launched hundreds of folk tales. This book is mandatory reading for the earth’s countless Hendrix aficionados. 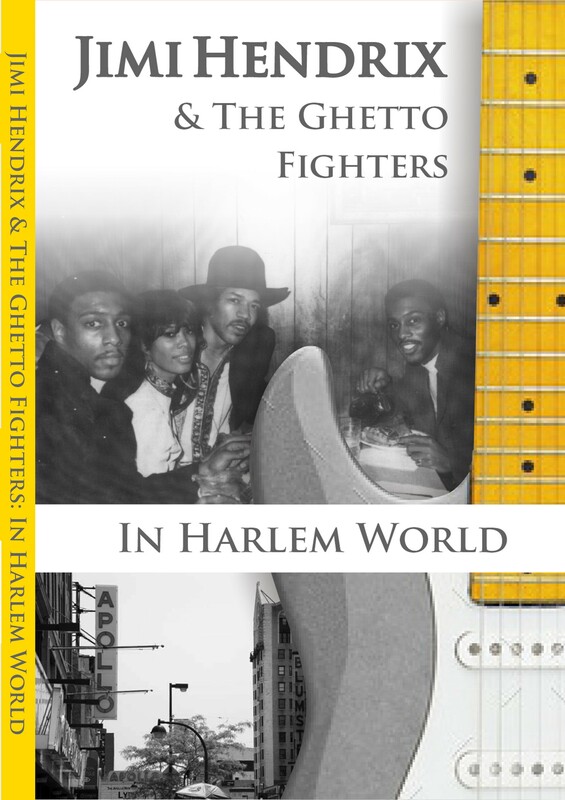 “Jimi Hendrix & The Ghetto Fighters: In Harlem World,” is the story of The Aleem Twins, Tunde Ra & TaharQa, who rose from the streets of Harlem to influence virtually every musical genre of their generation, and whose mysterious connection to Jimi Hendrix, one of the 20th century’s most important musicians, has launched hundreds of folk tales. If you think that the stories of Sean “P-Diddy” Combs and Shawn “Jay Z” Carter epitomize the iconic narrative of the “ghetto come-up” then you probably haven’t heard of Tunde Ra and TaharQa Aleem. 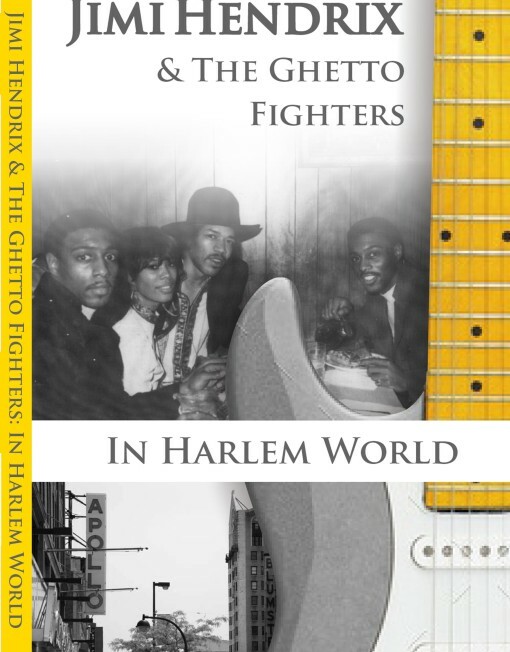 The Aleem Twins entered public consciousness as Jimi Hendrix’s beloved Ghetto Fighters, and this book reveals the surprising depths of that extraordinary connection. In fact, their links were so strong, there is credible evidence that Hendrix planned to severe all his management ties to forge new musical and managerial links with the Ghetto Fighters. 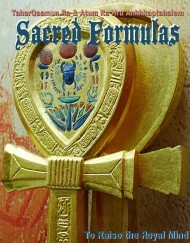 The Aleems are convinced Hendrix’s death was no accident and this book offers informative musings on that possibility. The book weaves an absorbing narrative of these fascinating twins who have hovered near the epicenter of popular culture for decades, like a pair of real-life Forrest Gumps. From do-wop with the GTOs, and Us, to psychedelic rock with Jimi Hendrix and the Ghetto Fighters, to electronic dance with the Fantastic Aleems, to hip-hop with Captain Rock and Marley Marl, et. Al. Through a charismatic combination of talent, ambition and coincidence, the Aleem twins have managed to enrich several genres of music with the artistry both of their performance and production. And, along the way, they’ve crossed paths with the industry’s leading innovators. How two young hustlers from the streets of Harlem ascended to such influential positions in the music business is a fascinating tale in itself — But even that is just half the story! 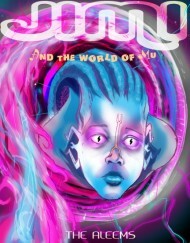 Written as a narrative that oscillates between the Twins’ alternating perspectives, the story is a stereo reminiscence of a world shared from the womb by brothers born Albert and Arthur Allen into a Harlem family firmly rooted in African-American tradition. The twins take us with them on this fascinating look at Harlem’s nurturing past. They tell a tale that portray a Harlem neighborhood buzzing with solid families, very quirky characters (There’s “Fat Jack” Taylor, the Harlem mobster; June “Pantera” Vasquenza, the Mexican stripper; there was Busta “Body Bag” Robinson who got his name the way you probably assume; and “Baby” George, another hit man), and varied street activities (like “roof jumping” and playing with bullet firecrackers), while living on a block with an anomalous Catholic Church with also the famous Woodside Hotel. While doing this, they trace the trajectory of a cast of extraordinary characters. Of course, there was Jimi Hendrix, along with Rick James, Wu Tang Clan, Earl “the Pearl” Monroe, Big Maybelle, Frankie Crocker, Nicky Barns, Marley Marl, and many, many others. The twins’ saga also takes us into the clandestine and dangerous world of the Harlem drug trade, where they rose high in the ranks of notorious gangster, Fat Jack Taylor. They played a role in Taylor’s development of the famous venue Harlem World that provided such a powerful springboard for hip-hop. The links between Hendrix and these charismatic twins were so strong, that the two were able to convinced him to perform at a street festival on Harlem’s 138th Street — a rare performance that is still largely unheralded.